Welcome to Day 15 of Trainwreck’d Society’s Month of Horror Showcase. Every day during the month of October, we will have a horror related interview and/or film review for your fright-filled reading pleasure! The set up will be the same as usual, but the topics will be far more terrifying. Enjoy! 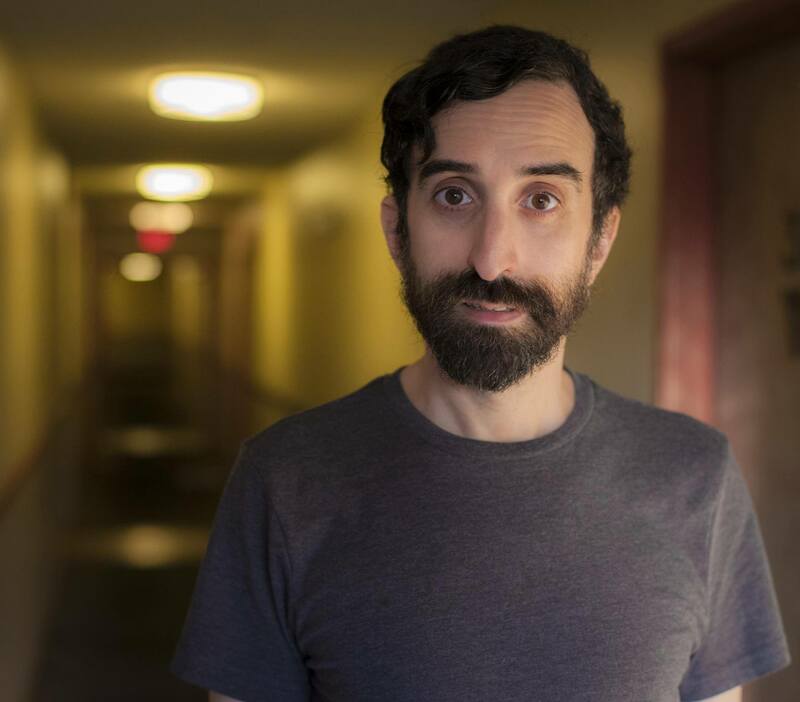 I seriously can not tell you just how excited I am to have Michael J. Epstein join the list of interviewees here at Trainwreck’d Society. Regular readers will recognize him, and probably won’t believe we actually haven’t done so yet. But, it is true. The man who has been mentioned on this site more times than I can count and has even been one of our beloved Guest Wreckers has not actually had a formal interview…until now. And what better time to include this artistic genius than during our Month of Horror? Seeing as he is part of the creative force behind such masterpieces as TEN, Magnetic, and Blood of the Tribades, which are cinematic table pieces here at Trainwreck’d Society, I would say he is a perfect fit! Surprisingly enough we still had a lot of good stuff to learn about Mr. Epstein! 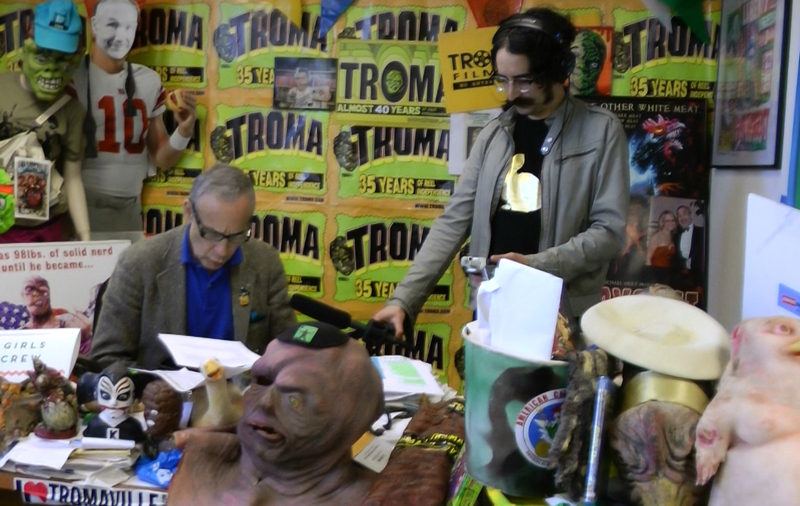 He has a great new book out that every DIY artist should know about, and has shared his numerous involvements in the world we know and love known as Troma Entertainment. That and so much more in this amazing interview with the brilliant Michael J. Epstein! Enjoy! We have talked about your work in film and in music on TWS quite a bit over the years, as you are just a non-stop creative human being! So when did you first decide you wanted to work in the creative world? When did the passion begin? This is kind of a hard question to answer exactly, but I’ve always been interested in making things. In my youngest years, I didn’t really quite get into art, but I was a tinkerer. I was building electronics projects and writing adventure games on my VIC-20 in gradeschool. I was always interested in problem solving and got excited when I learned new things or figured out how to do something that had previously stumped me. I made comic books with my friends in elementary school. I was never very good at drawing or painting, but I loved writing, even as a young child. By the time I got to high school, my whole life started to revolve around music and I got a guitar for my 15th birthday and immediately started writing songs. As far as film, my friends and I got hold of a VHS camera in high school and we’d make little weird movies, cutting shots together using two VCRs. I stuck with music for quite a few years until film technology became accessible and affordable enough to revisit it. I also started seeing a lot of commonality between all of this creative work and my more formal training in electrical engineering as my creative skills advanced. I understand you have added author to your laundry list of things that you do extremely well, and it is about crowd funding, another thing you have had a lot of success in! So what compelled you to write this guide book? And can you give us some details of what a reader should expect to learn? 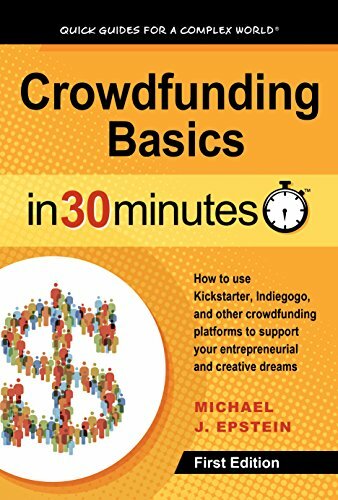 My book, Crowdfunding Basics In 30 Minutes: How to use Kickstarter, Indiegogo, and other crowdfunding platforms to support your entrepreneurial and creative dreams, came out earlier this year (http://crowdfunding.in30minutes.com/) as part of the excellent In 30 Minutes series. I had become familiar with the series in general and ended up in a conversation with the editor, who invited me to pitch some ideas for books. There were a few topics that I felt I could write about to provide useful insight on for beginners and crowdfunding stood out as the right choice at the time. I had run several of my own campaigns and consulted on many others, and had learned a lot of what to do, and more importantly, what not to do, through that work. I had already written a series of blog posts on crowdfunding-related topics, so I had a foundation for the book already. Essentially, I wanted to both encourage people to dive into the world of crowdfunding, but also to understand the large quantity of work and the deep commitment necessary to have a successful campaign. There are a lot of misconceptions about what crowdfunding is, how it works, who you might expect to contribute, and the written and unwritten agreements made when creating a campaign. I hope the book, which is very concise, gives someone interested in crowdfunding everything they need to know to decide whether and how to run a campaign, and things like which platform to choose, how to set up reward tiers, what backers will expect, and what the real economic results might look like. I really just hope it helps people get what they need to bring new ideas into the world. You have worked with the world famous Troma Studios in the past, including having Lloyd Kaufman do some voice work in your amazing 2014 film Ten (which I still watch quite often!). So how is it working with a team like Troma? What sets their processes apart form others? I’ve never actually worked on a Troma-produced film directly, so I’ve never seen how they operate on the pre-production or production end of things. As far as I know, they actually produce very few films directly these days. That said, I have worked on several films that were picked up by Troma for distribution including Honky Holocaust, Grindsploitation, and Grindsploitation 2. It was an amazing honor for us to get Lloyd to work with us on TEN, as I had grown up on what we can probably call an uncomfortably rich diet of Troma films. Lloyd is hilarious and wonderful, and although I wasn’t on set with him for most of the films, I think I have production and/or acting credits in around 10 films with him now. It’s surreal to be there right next to the guy whose Toxic Avenger and other films spun 1000’s of miles of tape through my VCR as a kid. I couldn’t have asked for something cooler. I’ve also had the absolute joy of working on films with other Troma regulars like Debbie Rochon (Tromeo and Juliet) and Bill Weeden (Sgt. Kabukiman N.Y.P.D.). In fact, it’s looking like my partner Sophia Cacciola and I will be working with Bill and an excellent filmmaker named Adrian Esposito on a new project next year (the title hasn’t been formally announced yet), so stay tuned! In the film world, you have worked on several different genres in several different gigs. But, since this is the Month of Horror, I am intrigued to ask you what it is specifically about the world of horror that has made you want to delve into it and create cinema magic? I have really never been interested in drama or realism in film. With horror, I love that there are very few rules about what tools you can use to tell stories. The fantastic nature of the genre gives an opportunity to tackle the deepest, darkest, most complex ideas and fears that we face in our bizarre existence. And horror movies are fun and can be accessible for creators and fans without needing big budgets or highly trained actors. Some of the best horror movies of all time were made with the fewest resources. They really allow the artists to shape and create worlds and stories. If you want scary, I think the scariest film I’ve ever seen is the documentary, I Think We’re Alone Now, which explores the lives of two of pop-singer Tiffany’s stalkers. I don’t know why, but I haven’t been into Halloween lately. I guess maybe I dress up and do weird things and live a fantasy-infused creative life so many days of the year that I’ve never felt compelled to really get involved in celebrating it on the particular holiday. Now that said, my favorite tradition (that I no longer partake in) was what my best friend in high school and I called a “bah humbug” party. As the name might imply, we started it with Christmas. We, and our other Jewish friends would get together on Christmas to host a “bah humbug” all-day movie marathon (and our non-Jewish friends begged their families to let them join us). We’d go to the video store and rent the oddest, most compelling movies we could find and just watch them until our eyes fell out of the sockets. We had so much fun doing this on Christmas that we started expanding it to other holidays – July 4th Bah Humbug, Memorial Day Bah Humbug, Labor Day Bah Humbug, Valentine’s Day Bah Humbug, and, of course, Halloween Bah Humbug! We always leaned heavily toward horror with these events anyway, but Halloween was really special one because we just scoured the video store for the grossest, most disturbing films we could find to watch. I think maybe it’s time to reinstate that tradition! We’re developing four feature films currently. I wish I knew which would get into production first, but it is all a matter of where the money and resources land. I think we’ll have at least one shot by the end of 2017, and I expect that we’ll make at least two features in 2018. In the meantime, we’re also working crew for other people (hire us!) and acting in a variety of projects. Basically, whatever adventure comes our way! We’re also looking at finishing up some music releases and starting a new band. Nothing specific to announce yet, but again, stay tuned! I just got to watch a very worn 35-mm print of Scanners at The New Beverly Theater on a Saturday at midnight. It was perfect.